When it becomes necessary for one person to transfer his interest in a property to another individual, the legal document used to accomplish this is a quit claim deed. Quit claim deeds are most commonly used in divorces when an ex-spouse must transfer ownership of a house, land or mobile home to the other ex-spouse. Sometimes a spouse may add the other spouse's name to a property after a marriage by issuing a deed, which makes them part owner. A minor child, however, cannot own property. A quit claim deed to a minor child would not be legally valid unless the property is conveyed to an adult on behalf of the minor child. 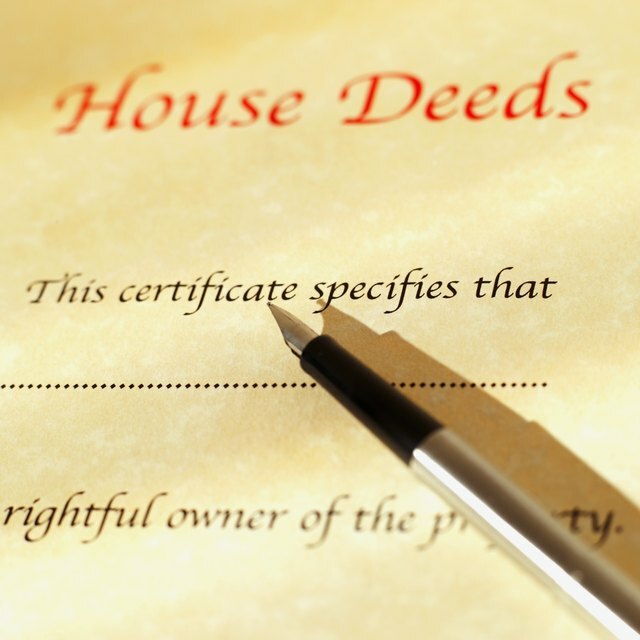 Quit claim deeds are often used to transfer property ownership among family members. These deeds pass title in a property from the grantor to the grantee. The person giving his interest in the property to someone else is the grantor, while the person receiving an interest in the property is the grantee. The quit claim deed transfers the grantor's interest, but it doesn't guarantee that the grantor has any interest, title or claim to the property being quit claimed. While a person under the age of 18 cannot legally assume title to property, the owner of the property could establish a conservatorship to make the transfer. A conservatorship is a legal status that refers to a person the court has determined is gravely disabled and is unable care for himself or handle his own business affairs. A minor child unable to sell or mortgage property would need a conservator to take legal control of the property until the minor child reaches age 18. If you want to make sure that a minor child receives property in the event you pass away before she reaches legal age, you could will the property to her and name a trustee. If you were to pass away after willing the property to a minor child, a trust is automatically created, which gives the property to the trust and names the child as the beneficiary. Can Heirs Use Real Estate Property without Changing a Deeded Legal Title? When the child reaches age 18 and can take legal possession of the property, she may decide she does not want the property. If the grantor has died, the child can renounce her inheritance by notifying the estate excecutor or court-appointed administrator in writing. This could allow the property to pass to another heir, but it must be done before the probate court distributes the property to her, making her the official owner.